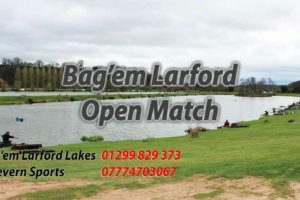 Small open on the Match Lake with 10 anglers fishing. Winner on the day was Steve Rocke with 92-06-00 from peg 18. 2nd place went to Harry Harris with 83-03-00 from peg 66. 3rd on the day was S. Maturi with 72-15-00 from peg 48.